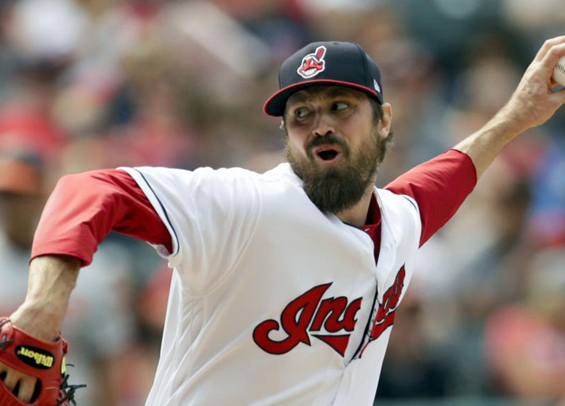 It's no secret that the Phillies are aiming to bolster their bullpen entering next season, so it makes sense the organization would be checking in on reliever Andrew Miller. Multiple outlets over the past day or so have cited a report from MLB.com's Jon Morosi that the Phillies, along with the Mets and Cardinals, have checked in on potentially signing Miller. The 33-year-old battled knee and shoulder issues last season that limited his effectiveness. Over 34 innings he pitched to a 4.24 ERA last season with Cleveland. The left-hander was one of the most dominant arms in the game the four seasons prior to last, posting a 248 ERA+ over that span (1.72) to go along with 51 saves. He also struck out 421 batters over 261 innings of work. Miller would be a strong addition to a Phillies bullpen that showed moments of weakness last season.